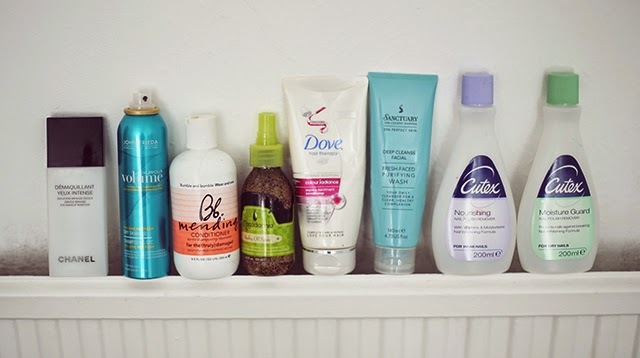 I have so many empties products, I had just picked out few for this post. Whenever I've done a full review on a product, I will include the link to the post. Personally I love reading empties post, as you can find a honest opinion about a certain product. The Chanel Demaquillant Yeux Intense is the worst eye make-up remover I had a chance to use! Not worth the money! It did not get rid of waterproof mascara, as the producer claimed. John Freida Volume Dry Shampoo another product that just didn't work for me, as much as I love John Freida products. this just didn't do anything to my hair, but just made them more greasy a lot more faster. 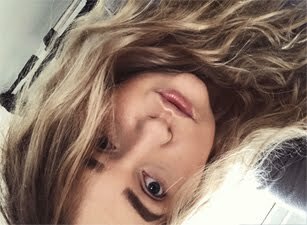 Bumble and Bumble mending Conditioner is just amazing! Worked with my hair really well, I will definitely go back to using it. Macadamia Healing Oil Spray wasn't my favourite, but I enjoyed using it in the end. It was a okay product. Dove Hair Therapy Intensive Conditioner was very simple to use, as you only needed to apply it on the hair for 3minutes, great to use in the shower. The hair felt really smooth and soft afterwards, lovely product to use. The Sanctuary Deep Cleanse Facial Wash was okay, nothing special. Didn't really do anything to my skin. I am not very picky when it comes to nail polish remover, as long as they do the job, I am happy. Both Cutex nail polish worked in the same way, I haven't noticed any difference between them, apart form the Moisture Gard formula was white.Apart from that they didn't dry out my nails.